A Diamond blue john engagement ring specially commissioned, designed and handmade in our Ditchling workshops to a clients own ideas. 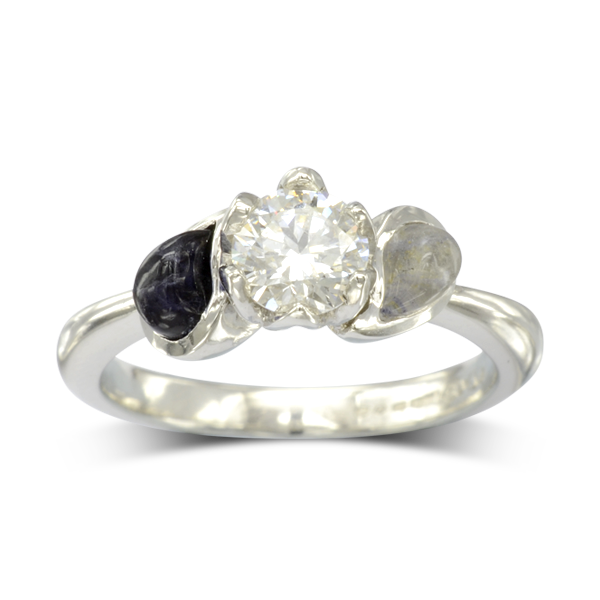 Whilst liking our existing “tulip set” engagement ring they wanted to incorporate some blue John and a Yin-Yang sign. This is the outcome. 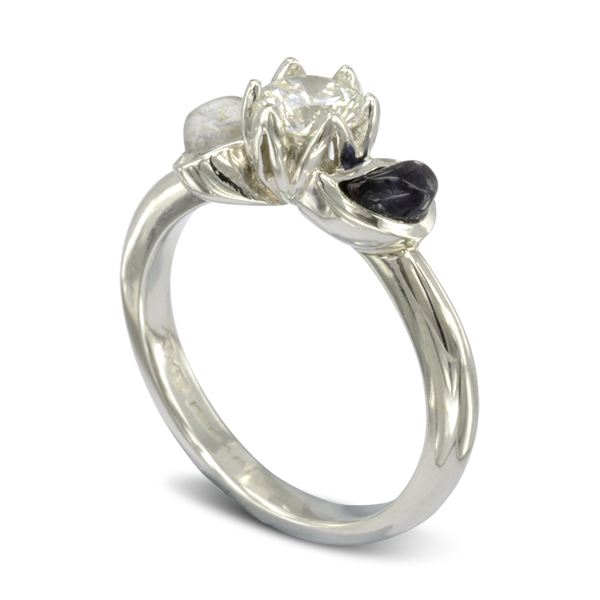 A blue grey and white part of a peice of blue john was specially cut into the teardrop shapes of half the Chinese Yin-Yang symbol and used to form the shoulders of the ring. 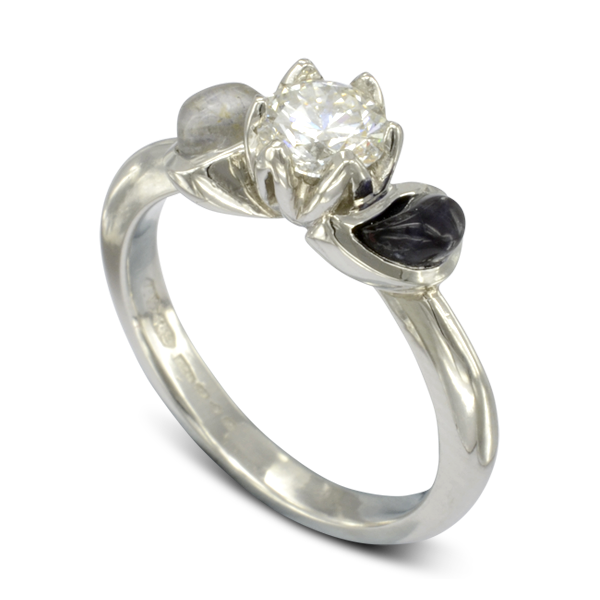 They sit either side of a 0.6ct round brilliant cut diamond. Get Creative! What would you design?